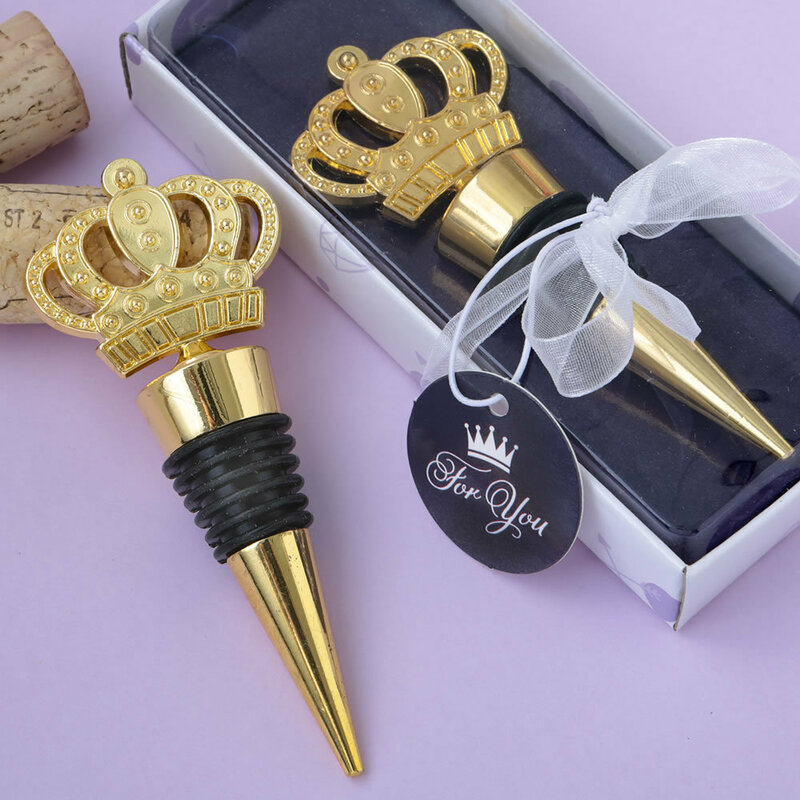 The bottom of the bottle stopper is gold stainless steel and has a black rubber gasket for a tight seal. This exquisite favor is packaged in a white gift box with purple accents and a clear top. The stopper rests on a purple stage and he box is wrapped with a white organza ribbon and bow. Attached to the bow is a matching purple 'For You' tag.